Since their first major outages, many 7FH2 and 324 model generator owners have suffered through changes in generator acoustic levels. 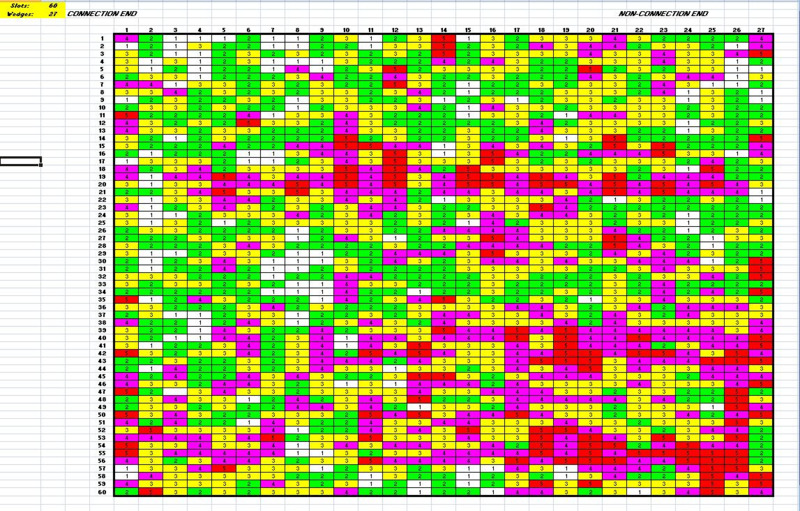 Most attributed to keybar rattle. 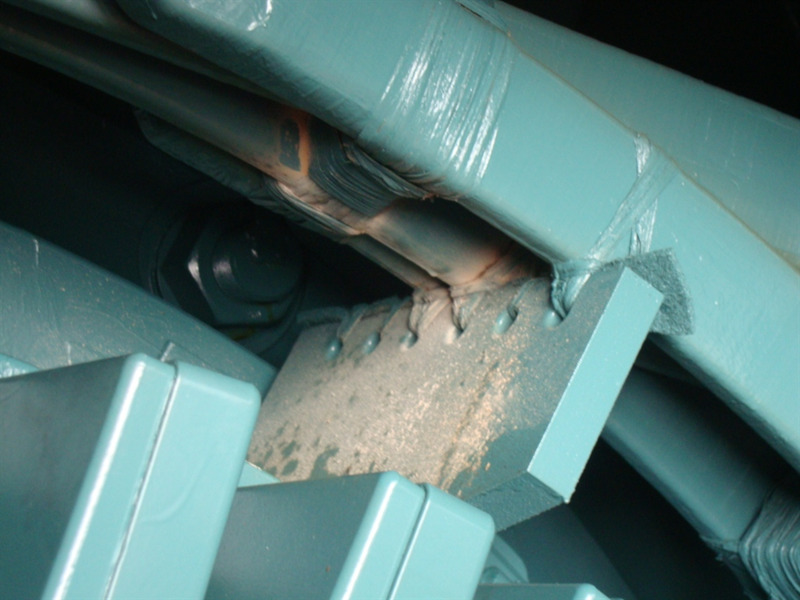 AGTServices has investigated and repaired many machines. Resolution ranges from simple belly band tightening during minor outages, to the addition of belly bands to further consolidate the core support system, eliminating keybar ratlle altogether. AGT Services experience in testing, inspecting and repairing 7FH2/324 generators has shown that virtually all of these machines eventually suffer from collector terminal stud seal leaks. 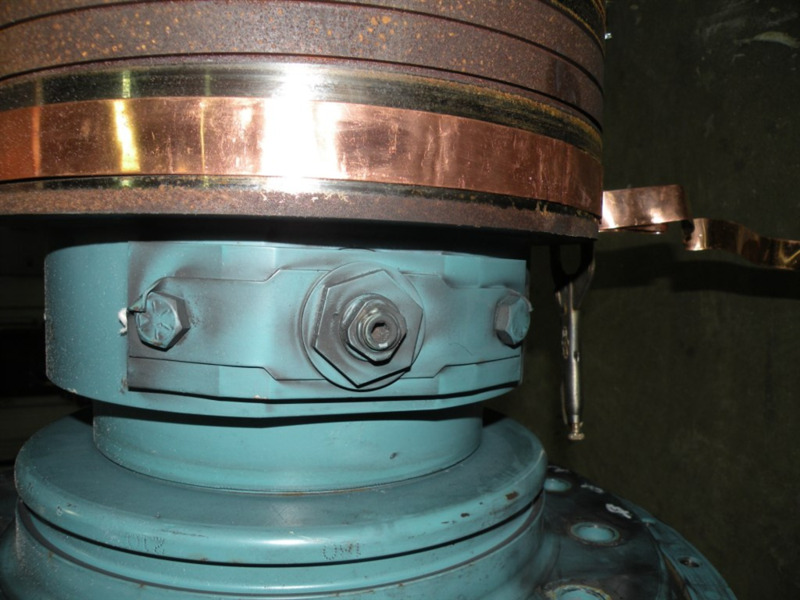 This repair solution will help to prevent the potential of explosive H2 gas from leaking into the generator collector regions, which can result in a collector flashover event. 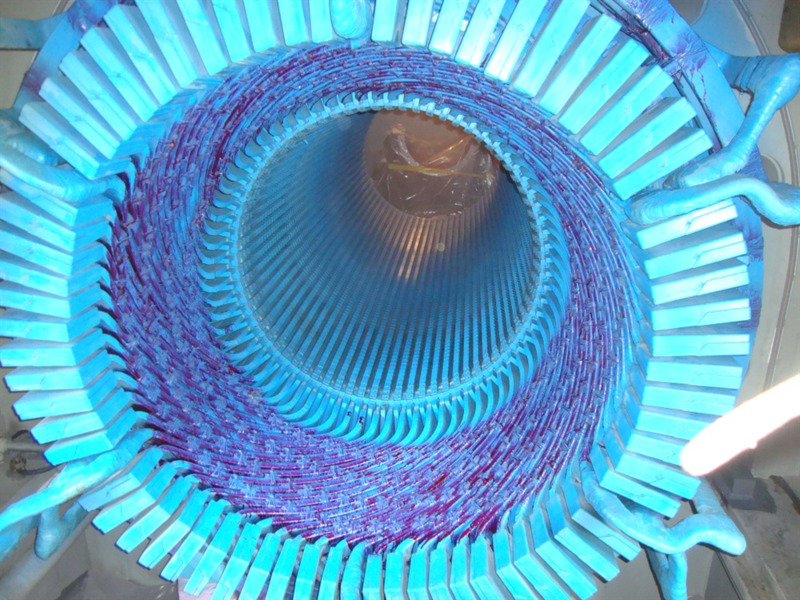 Since 2001, many owners have reported seeing dusting in the stator endwinding. The dusting has been reported on units as early as their first OEM recommended inspection. AGT Services experience in testing, inspecting and repairing these generators has allowed us to implement repairs to correct this dusting that make these machines better than new. 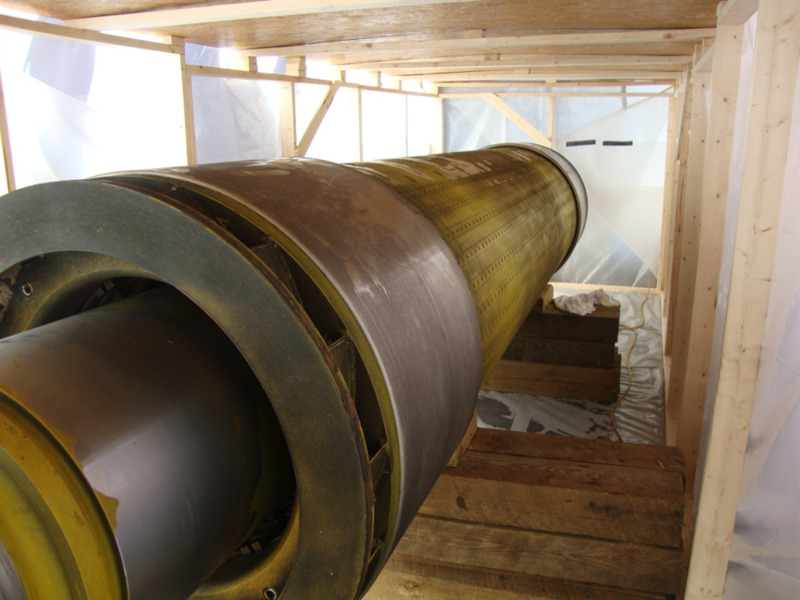 AGT Services recommends routine wedge tightness surveying to ensure proper wedge system performance. 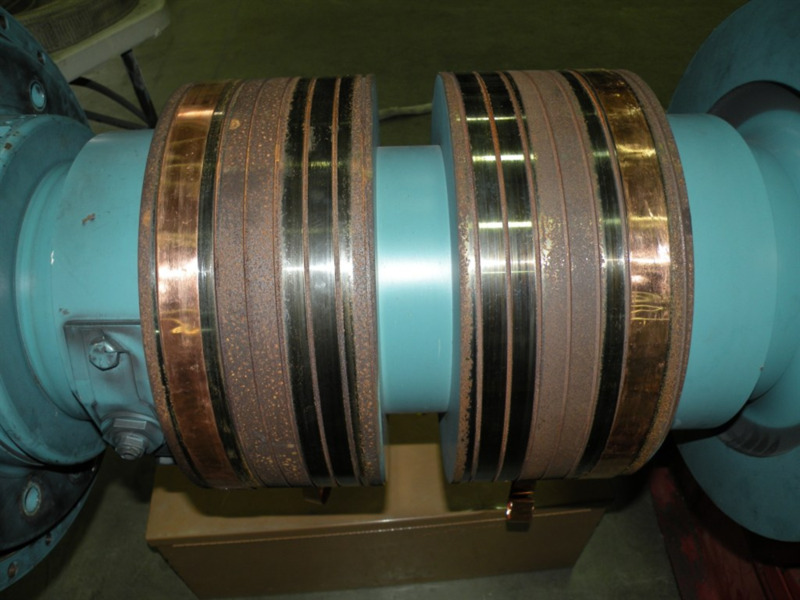 A loose wedge system, which is worsened if exposed to oil, permits stator bar movement. If coupled with a loose endwinding system, degradation can become even more rapid. High quality, high performance, and high thermal tolerance materials are used in all rewedge projects. AGT Services has developed an improved field amortisseur arrangement which eliminates the migration of spring and slot amortisseurs. The migration of these amortisseurs will eventually lead to blockage of the radial ventilation passages of the generator field. 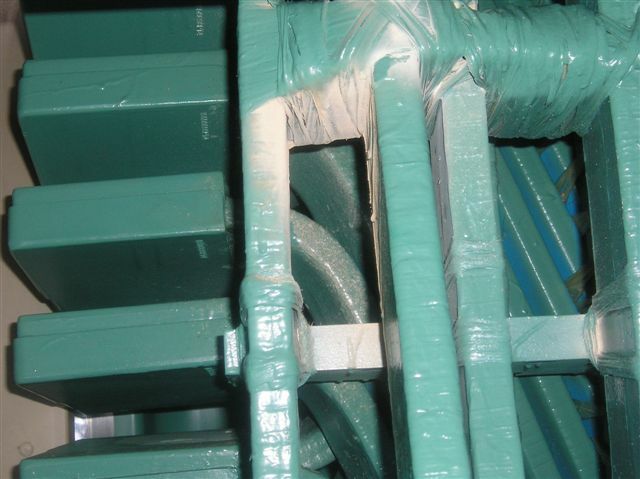 This coolant flow restriction may lead to thermal imbalance of the generator field, resulting in excessive field vibration levels and trips which follow. AGT Services has the parts and expertise to help maintain your collector systems health. To get best collector brush performance, brushes need to stay in contact with the ring. If they lose contact, the following can possibly happen: Foot Printing, Arcing, Accelerated Collector Ring Wear, Tracking, Reduced Brush Life, Selectivity, Brush Overheating and Burned Off Pigtails. Static start generators are very susceptible to ammortisseur migration. In radially cooled fields, this migration can lead to blocked cooling ducts, resulting in thermally induced rotor vibrations. 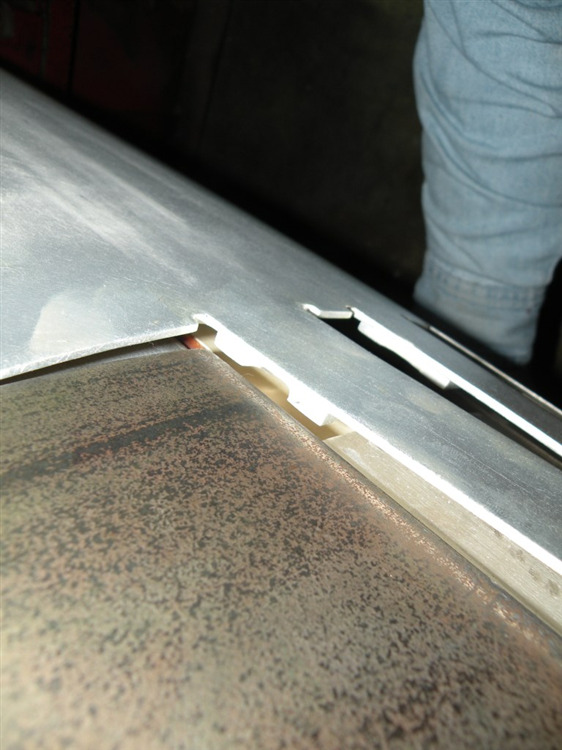 Migration of the field slot ammortisseur or springs can lead to problems in the cooling ducts, as well as cutting into the retaining ring insulation. Ammortisseur spring modification including stop blocks to prevent slot ammortisseur spring migration. This prevents the slot springs from "walking" axially, and partially or completely blocking the cooling passages. This field was fully tested after addressing ammortisseur spring migration problems. The unit was returned to service with no vibration issues and zero shorts according to flux probe monitors. During our field inspections, AGT Services' experience has shown that virtually ALL of these machine's have leaking terminal studs. Leading to the potential loss of H2 into your collector region. A rebuilt and refinished collector system, including new terminal studs, seals. The rings were resurfaced to ensure proper brush contact. Uneven wear of the collector rings is indicative of poor brush rig maintenance. Dishing is often a result of brush spring pressure being too high. This will result in reduced brush service life. Poor collector ring-to-brush contact can result in several problems. 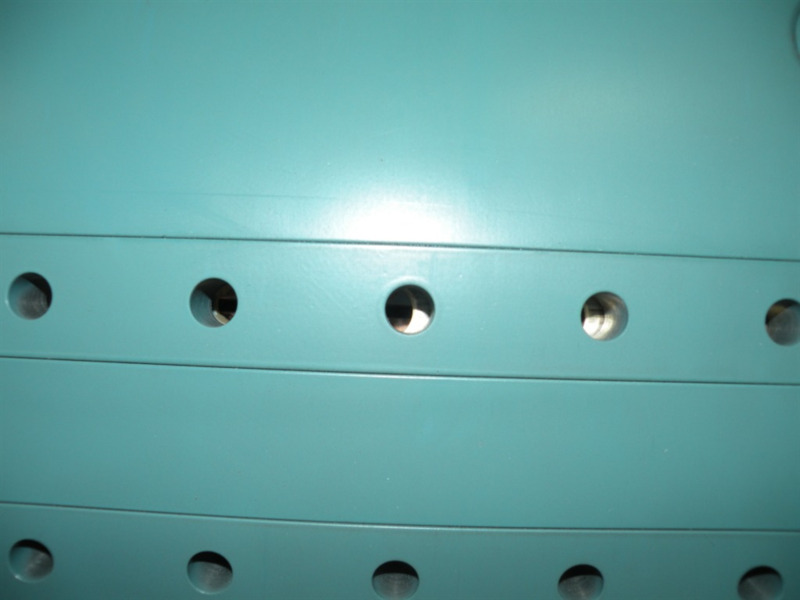 Collector ring surface quality is a key contributor to short brush life, sparking, and possible flashover. Resurfacing is necessary. Although H2 cooled, this field required major cleaning as well as repairs to the terminal stud, collector ring resurfacing and ammortisseur migration problems. 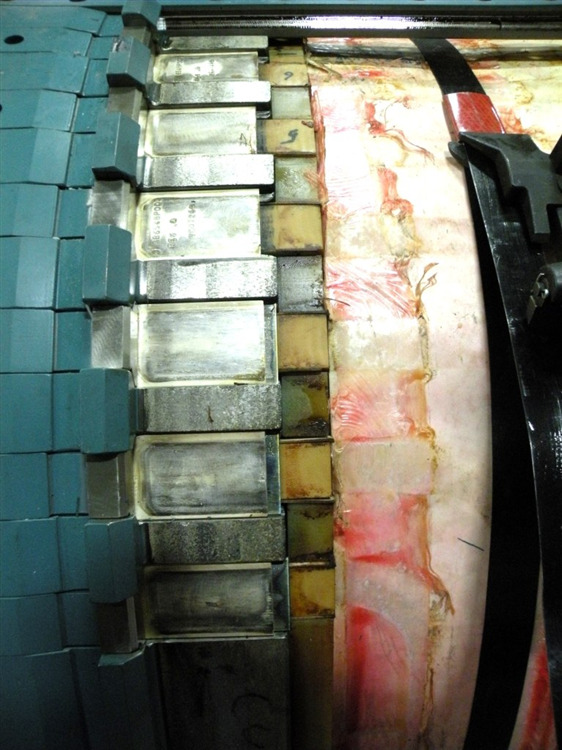 Poor material selection and processes at the OEM results in rapid degradation of the endwinding system's reliability. In addition to the visual signs, endwinding "bump testing" will highlight the areas in need of repair. Dusting within the endwinding region is indicative of stability or support problems. If left unchecked, endwinding movement can lead to insulation cracking, possible strand breaks and eventual winding failure. A 7FH2 machine with endwinding region vibration problems being addressed. 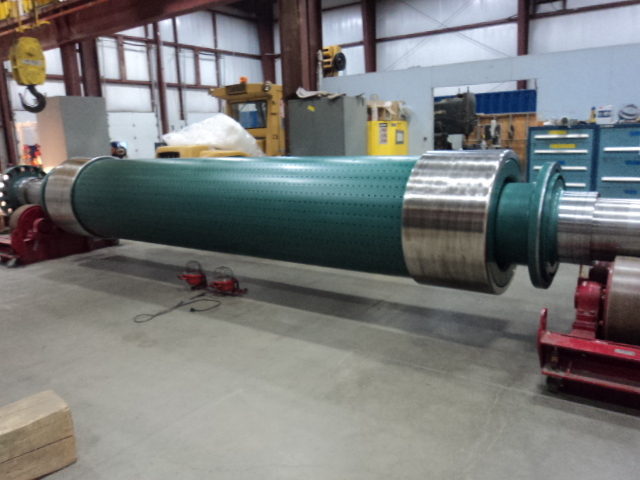 Once completed, this unit's endwinding will be better than original, resulting in longer service life. 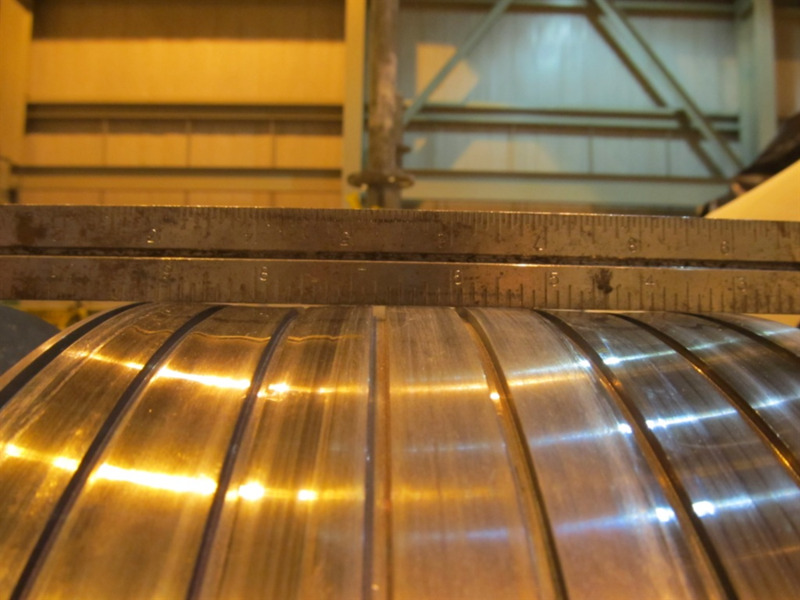 This unit had roughly 60% of the stator wedges at least 2/3rds loose, requiring a full rewedge to maintain wedge system performance. These issues are worsened by the presence of seal oil, common in this machine's design. 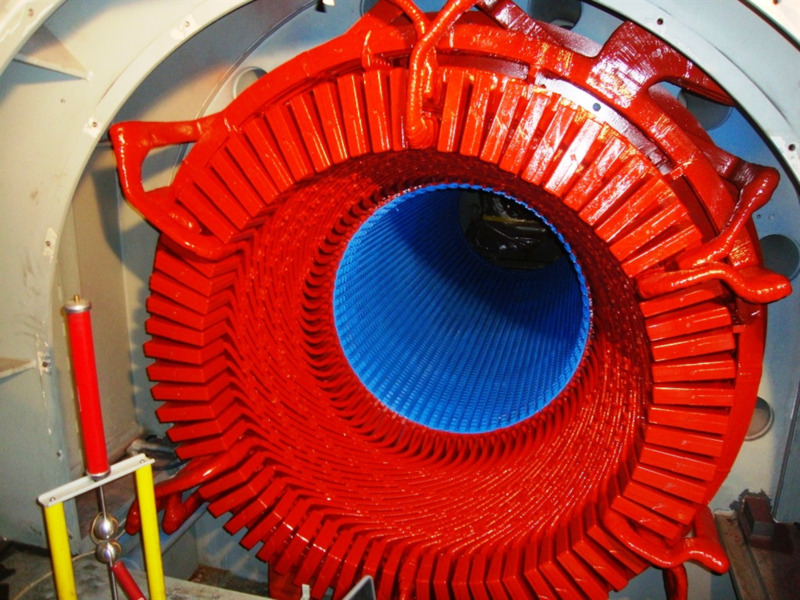 Once loose or oily, stator wedges can no longer maintain desired pressure on stator bars. 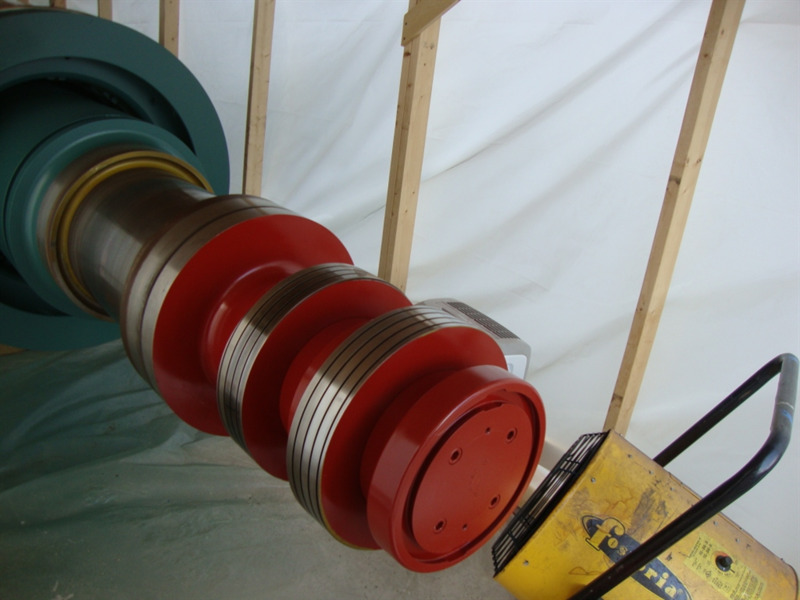 After addressing all endwinding stability problems and wedge tightness, the units are fully tested, and repainted (your choice of color), for return to service in the shortest time possible.